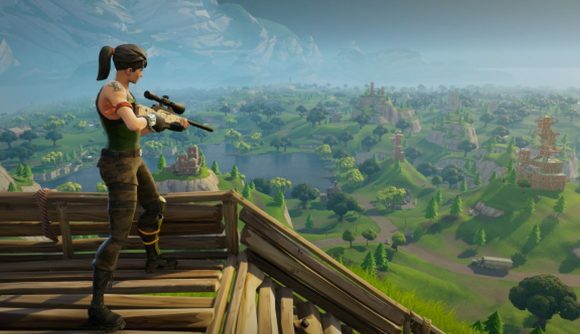 Epic Games is making some major changes to Fortnite Battle Royale, with tweaks to the Compact SMG and the Drum Gun intended to make surviving a build fight against a barrage of bullets (unless your opponents have a minigun – then you’re just screwed). There’s also changes being made to materials themselves, which should help you out in the most frantic battles. The changes to building are likely to be those most immediately felt, as they’ll be most likely to shape how the game is played at high levels. The initial HP of all three materials is going up, but to varying degrees – while wood is getting a small ten-point boost, from 80 to 90 HP, metal’s going all the way from 80 to 110 (stone is changing from 80 to 100 HP). That 30 health is likely to make a big difference, as it amounts to more than the total damage dealt by a round from an automatic weapon. That means that Assault Rifles and their ilk will need at least an extra shot to get through those hastily-erected barriers, while wood will be in more or less the exact same spot. That means that wood has become nearly obsolete, as the protection it offers in a tight spot is far less than stone or metal. If it gets up to full strength, it’s still far weaker, meaning it’s no good in either quick build fights or lengthier, long-distance engagements. In fact, the only thing it now has going for it is how readily-available it is. Elsewhere, there are changes to the Compact SMG (or P90) which now deals one point less damage and has had its clip size reduced from 50 rounds to 40. The Drum Gun has also changed, with less damage falloff at range, but less accuracy and a lower spawn rate. You can check out the notes in their entirety here. If you’re dropping into Fortnite today, make sure to check out our Fortnite week 5 challenges guide – it’ll help you find the battle star at the end of the Snobby Shores treasure map, as well as helping you when you head out for a round of golf at Lazy Links.